Join Dorothy and Toto on the Yellow Brick Road as Worksop Light Operatic Society present The Wizard Of Oz! After a tornado whisks away a young Kansas farm girl, Dorothy, to the magical land of Oz, she starts her quest to find the mighty Wizard of Oz who has the power to send her home. After the Wicked Witch vows to take revenge on Dorothy for killing her sister and taking the magical ruby slippers, she sets off down the Yellow Brick Road where she meets a Scarecrow, a Tin Man and a Cowardly Lion who help her on her journey. 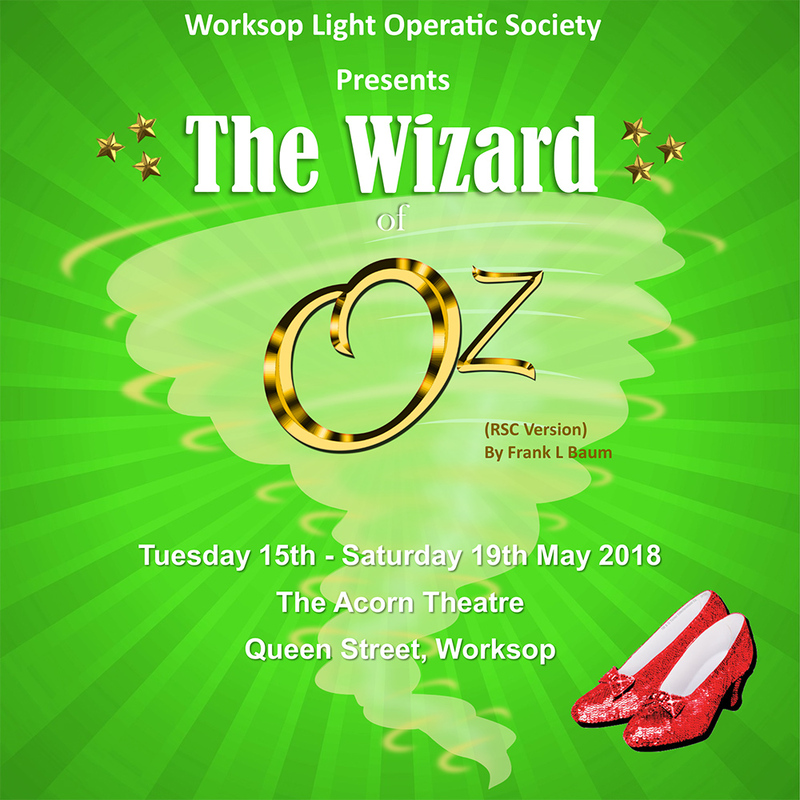 Featuring the iconic songs such as &apos;Over the Rainbow&apos;, &apos;We&apos;re off to see the Wizard&apos;, &apos;Merry Old Land of Oz&apos; and many more, Worksop Light Operatic Society are sure to put on a show not to be missed.